The crypto market sprang back to life with bitcoin’s surge to nearly 5-month highs yesterday. But why? To those who have been paying attention to the charts, it shouldn’t come as a surprise. The leading cryptocurrency by market value jumped nearly $1,000 to $5,080 in a 60-minute window early on Tuesday, confirming a transition from bear market to bull market that it had been signaling for some time. Looking back, a big move was overdue, as bitcoin’s average daily trading range had slipped to two-year lows in March. An extended period of low volatility often ends up with a violent move on either side. As mentioned, bitcoin’s charts have been signaling for some time that a bottom may be in the market. This first began in late February, when we reported that bitcoin’s 50-week moving average dropped below the 100-week moving average, confirming a bearish crossover – the first since April 2015. At the time, we wrote that the lagging indicator had turned bearish for the first time in four years, suggesting bitcoin’s price may have bottomed out after a year of declining prices. Put simply, it takes a great effort on the part of the bears to push the 50-week MA below the 100-week MA. As a result, the bear market is usually exhausted by the time the crossover is confirmed, which seems to be the case with BTC. That, however, was just the beginning. Several longer duration indicators, like the weekly money flow index (MFI) and the moving average convergence divergence (MACD), would add evidence to the trend. On March 4, the MFI bottomed, contradicting the lower low in bitcoin’s price. The same day, the MACD, a momentum oscillator calculated by subtracting the longer-term moving average from the shorter-term moving average, also turned bullish, a fact no doubt noticed by traders. Yet, these technical developments likely reinforced expectations of a stronger rally ahead of the incoming halving, a scheduled, programmatic reduction in the amount of new bitcoin paid to miners. 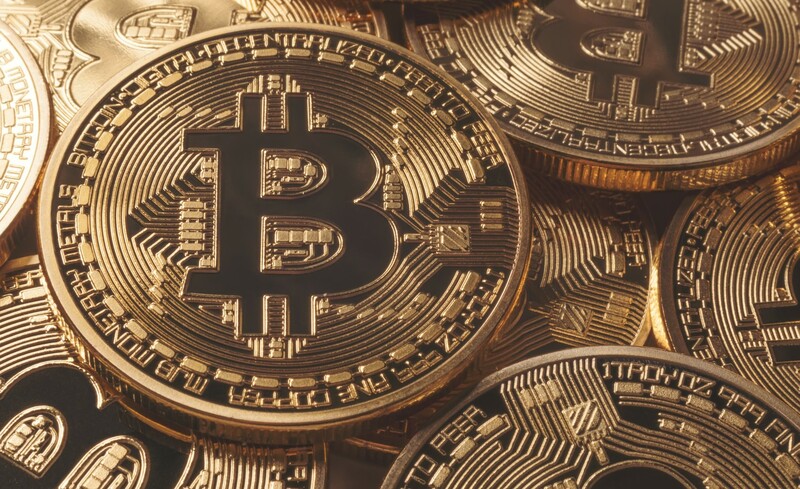 Bitcoin is set to undergo a mining reward halving in May 2020 and historical data indicates the process tends to put a bid under the cryptocurrency at least a year in advance. (The protocol automatically reduces new issuance after a certain number of blocks are processed, an event that occurred most recently in 2016). Markets first took note of this possibility in December 2018 after the sell-off ran out of steam near $3,100. 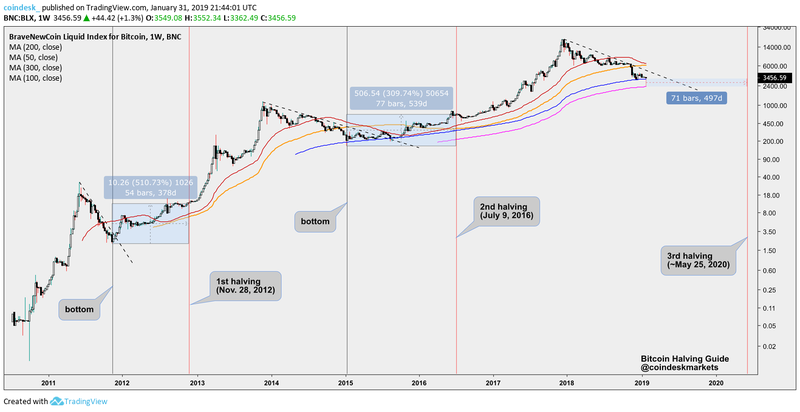 The particular price pattern was reminiscent of how the previous bear market had ended at lows near $150 in early January 2015 – 17 months before a reward halving in August 2016. Indeed, historical data shows that bitcoin traders generally respond to the halving, and that the event serves as a signal and potential catalyst. The narrative that BTC is set to repeat history by breaking into a bull market at least a year ahead of the next mining reward halving (due August 2020) has only strengthened over the last three months, possibly leading to the bull breakout yesterday. Indeed, analysts had been arguing for months that with the next bitcoin halving expected to happen in May 2020, the time had come for investors to start paying attention to this pattern. One can’t rule out market irregularities, though, and there appear to have been some yesterday. Reuters reported Tuesday that a single algorithmically managed order worth $100 million spread across several major exchanges – Coinbase and Kraken and Bitstamp – triggered the sudden rally to multi-month highs. Meanwhile, Bitfinex data indicates that the unwinding of bearish bets created upward pressure on prices. 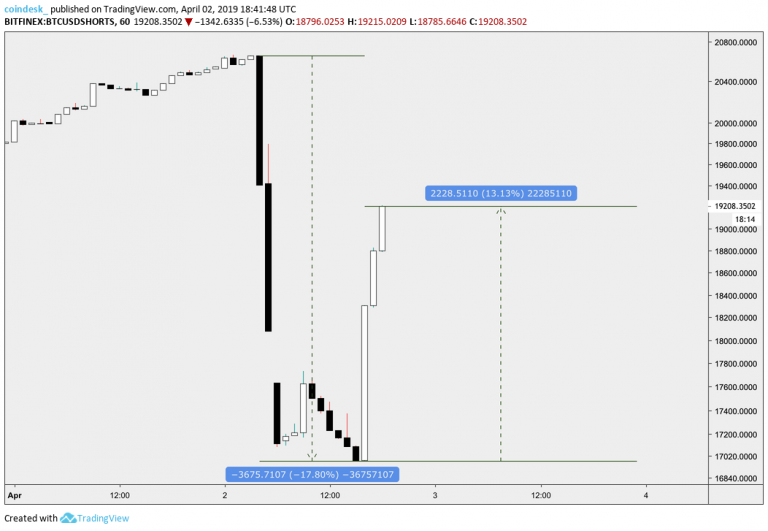 BTC/USD short positions plunged from 20,654 BTC to 17,103 BTC between 04:00 and 06:00 UTC yesterday; later declining further to 16,978 BTC – the lowest level since March 2018. After falling more than 17% Tuesday, funds in short positions climbed back up 13 percent. Looking forward, BTC could witness a minor pullback to levels below $4,700 in the short-term. The overall outlook, however, will remain bullish as long as BTC remains above $4,236. BTC revisited yesterday’s high of $5,080 earlier today. The bullish move, however, was accompanied by a lower high on the relative strength index (RSI). That bearish divergence indicates scope for a pullback to the ascending (bullish) 50-hour MA, currently at $4,572. But both the triangle breakout and the bullish higher high above $4,236 indicate the tide has turned in favor of the bulls. Validating that argument are the ascending 5- and 10-week moving averages. That said, with the short duration charts reporting overbought conditions, a break above the crucial 21-month exponential moving average (EMA), currently at $5,200, may not happen in the next few days.